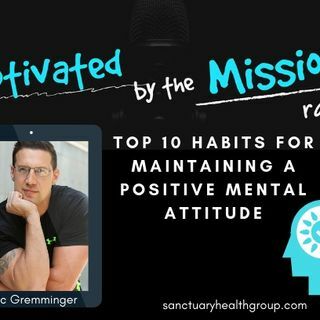 Join Eric Gremminger for a short and uplifting message about his top 10 habits for maintaining a positive mental attitude. Join host Eric Gremminger as he talks about the selfless act of you creating personal successes in each area of ... See More your life. Living life where success is measured as service! Eric is a leading voice in addiction recovery and positive psychology, where he advocates for a paradigm shift in the current treatment model to empower people to create and live life by design. Eric is the Chief Operating Officer and a Founding Partner of the Sanctuary Health Group, which offers several health centers providing detox, PHP, IOP and outpatient services in brand new, state-of-the-art facilities.